At least he's not a homo. There are only a handful of states where every diocese has released names and most of them have only one or two Catholic districts. Short version: A coerced abdication is not canonically valid. Is anyone shocked that it isn't just Catholics? Grab them by… the purse. Time to push for more donations, I guess. Our churches sometimes have ad campaigns (posters on public transportation) for that. It warms my heart knowing they aren't doing so well. Similar story closer to (my) home. Note that this parking lot would have prohibitively high real estate taxes to remain a mere parking lot were it not for the church tax exemption. Basically they were just sitting on it waiting for the right price, until the forced sale. Paris (CNN) – The Vatican's envoy to France, Archbishop Luigi Ventura, is under investigation for sexual assault, a French judicial source told CNN Friday. The Paris prosecutor's office opened an investigation on January 24, the source said. The archbishop is alleged to have inappropriately touched a junior male official working at the Paris city hall, Paris deputy mayor Patrick Klugman told CNN Friday. He added that following the alleged sexual assault, the city hall filed a complaint with the Paris prosecutor. The Vatican said in a statement that the Holy See was aware of the investigation and that it "awaits the results." While the Vatican's embassy in Paris said it would not comment on the investigation. OK so he's been fired from his job because he made the boss look bad. Any chance of criminal indictments? Pope Francis has got a real mess on his hands. In just a few days he will gather the presidents of the all the world's episcopal conferences in Rome to make them understand there must be "zero tolerance" for priests who sexually abuse minors. But on the eve of this important meeting, yet another long-serving Vatican official has been revealed as a perpetrator. Msgr. Joseph Punderson, who has worked at the Supreme Tribunal of the Apostolic Signatura since 1993 and its Defender of the Bond (DOB) since 1995, is expected to end three decades of service in Rome after his New Jersey diocese listed him among those "credibly accused of the sexual abuse of a minor." Punderson, 70, was one of 30 people on a preliminary list of offenders published on Feb. 13 by the Diocese of Trenton. It gets difficult to keep up! This is becoming so common that pretty soon it won't even be newsworthy anymore. Are you referring to Priests or the news or was that a clever double entendre? Should I have written "to keep it up"? We do not live. We are lived by the it. Ditto. It(! )'s utterly funny, especially thinking of grumpy Freud getting the "letters". I haven't tried my hand at a lot at psychoanalysis books, but most struck me as dreary and utterly boring – excepting Sigmund's own The Psychopathology of Everyday Life, of course. 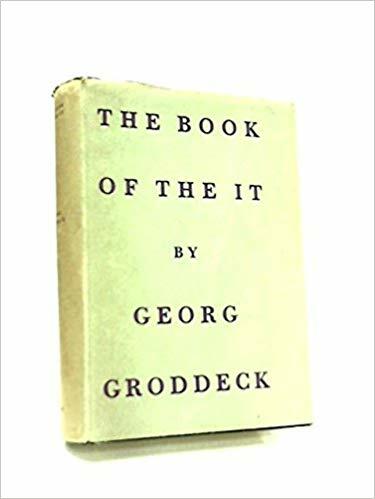 Groddeck's novel The Seeker of Souls was a disappointment, but his autobiographical description of work at the "Satanarium" is fun too, quite in the vein of the It. Ah! And Ferenczi's Thalassa, pure delirium. The Old Masters™ weren't afraid to put it on heavily!